ULPower Aero Engines has its historical roots deep in precision engineering and professional rally engine development. Today, these skills have blossomed into the product we all know know as ‘ULPower! 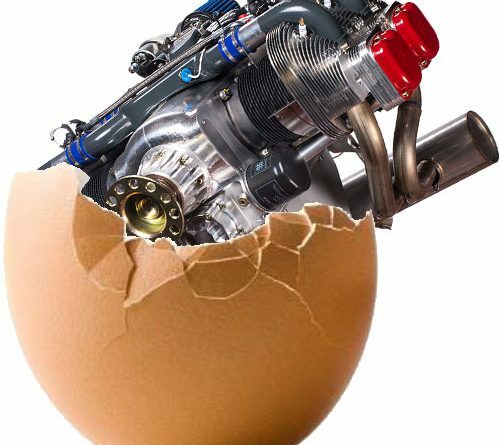 In 2001 the ‘founding fathers’ were involved in solving an engine issue with a Jabiru powered helicopter that ‘simply couldn’t get off the ground’. When tested on a dyno the engine was simply not delivering the power needed. 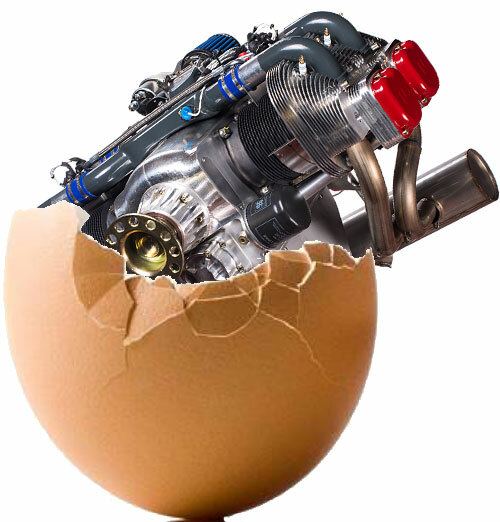 After looking at what they could do to ‘boost’ the Jabiru, it was decided to develop a new aero engine. A clean sheet design, but with some key aims and objectives. To achieve this the design team chose the following feature air-cooled, direct-drive, ECU controlled, fuel-injection, oil cooled cylinder heads. AN/JIC fittings, easy change crankshaft seals, solid lifters, and they also implemented one of the shortest fuel rails for the class of engine reducing fuel warming and return vapour. The team behind much of the practical design had many years of successful work in international rally car races. “If a car breaks down in the desert or a jungle it is not a good thing – much like a aeroplane engine at any time! 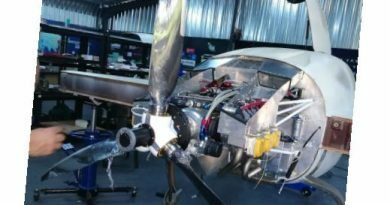 Furthermore, it must be quick and easy to diagnose and if something is amiss must be an engine that is easy to work on.” and that principle has led the whole development of the ULPower Aero Engine range and its many milestones. 2006 ULPower Aero Engines is incorporated and launches the UL260i low compression 97hp 4 stroke injected engine. 2009 The demand for more power at low engine weights led to a increased power through two more models – just 6kg more than their siblings. 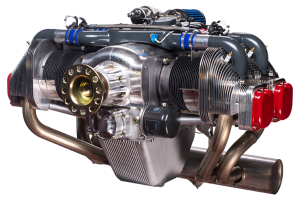 The UL350i (118hp) and the UL350iS (130hp) provided powerplants to meet growing light aircraft weights and improving cruise speeds. These models use the same crankcase and sump, but a longer stroke (hence increased volume from 2.6 to 3.5litres). 2010 The light helicopter industry caught on to the potential of the ULPower engine and the UL350iHPS (145hp) was launched. 2012 Engine demands grew and the company invested in a full robotised Flexible Manufacturing System CNC Machining Centre, with an integrated multi-pallet robot arm changer. This provided for 24 hour production, reliable and repeatable production and managed costs. One operator can manage the machine during an 8 hour day, whilst the machine continues to work throughout the night. The system allows for up to 100% inspection either by manual methods on using a 3D automated inspection system. 2013 Making good use of the increased capacity, the company moved into 6 cylinder engines. Keeping as many common parts as possible (cylinders, cylinder heads, etc) but providing two new engines and their variants UL390i (140hp), UL390iS (160hp), UL520i (180hp) and the UL520iS (200hp). Each engine has the option to be fitted with the inverted oil system to add the Aerobatic ‘A’ suffix also. 2014 Having set up a fully flexible manufacturing system allowed ULPower to provide tailor-made solutions for UAV and other specialist applications. 2015 At the request of a customer, a reverse rotation option was introduced. Again demonstrating the expertise and flexibility of the ULPower team. 2016 High horsepower engines produce high amounts of heat. In applications where the engine is not able to be ‘exposed’ to a cooling airflow a forced cooling system must be implemented. Again, the engineering team took on the challenge and developed an integrated forced cooling solution. 2017 The power hungry helicopter industry requested a vertical installation, and the team set about meeting the challenge. is met by an audience who are jaded by the ever increasing costs associated with legacy engines, and who embrace the safety and lowered work-load of a FADEC engine. ULPower Aero Engines are being installed into many new types of aircraft – by both home-builders and OEMs. 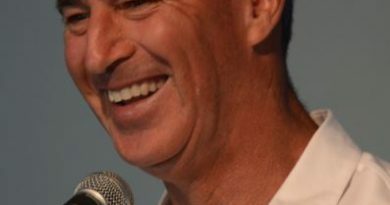 To find out more visit ULPower.com and/or follow us on Facebook here! 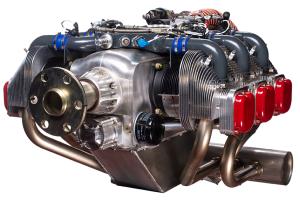 Given the current growth trend towards single and dual seat microlights, are there any plans for ULPower to produce smaller 4-stroke engines in the 40, 50, 60, 70 and 80 HP ranges? We spoke to the ULPower team this afternoon, and they simply said that ‘they do not comment on future developments’, but they also asked us to sincerely thank you for your question!